Born 1842 according to family Bible records, but 1845 according to Zion church records and her cemetery marker, and also on arrival in NY age 18 on 5 Oct 1863. 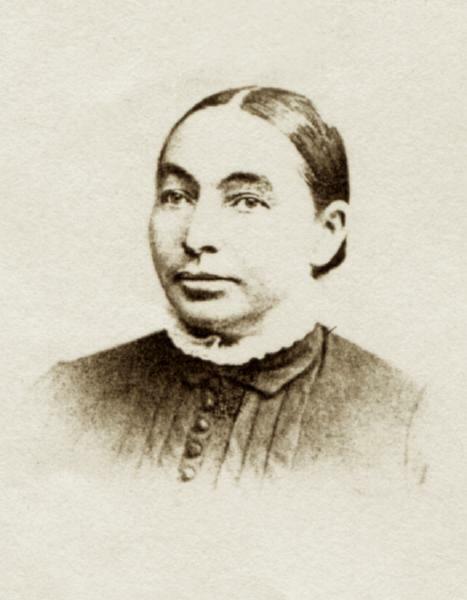 Margaretha Sippel was born on 29 March 1845 in Hützdorf, Kreis Lauterbach, Hessen. Margaretha Sippel arrived in the Port of New York on 5 October 1863, age 18, from Bremen aboard the Bremen Bark Washington, burthen 533 tons, master C. A. Wenke. She married Balthasar Weiler, son of Johann Adam Weiler and Ursula Häberle, on 1 May 1864 in Niagara Falls, Niagara County, New York, at Zion Lutheran Church The marriage was witnessed by Louis Weiler and Valentin Sippel. In October 1865, Margaretha Sippel and Balthasar Weiler were living in Illinois when their daughter Elizabeth was born. Balthasar Weiler and Margaretha Sippel, appeared in the US federal census of 1 June 1870 in Suspension Bridge, Niagara County, New York. Other members of the household included Matthias Balthasar Weiler, Christian Weiler, Elisabetha A. Weiler and Heinrich Valentin Weiler. Lucy Weiler (age 15) has not yet been found in the 1870 census, likely with another family as live-in household help. Balthasar Weiler and Margaretha Sippel appeared in the New York state census of 1 June 1875 in Niagara, Niagara County, New York. Other members of the household included Ursula Weiler, Christian Weiler, Matthias Balthasar Weiler, Elisabetha A. Weiler, Heinrich Valentin Weiler and Johann Georg Weiler. She was a sponsor at the baptism/christening of Elizabeth Susanna Margaret Kammerer on 4 May 1879 at Zion Lutheran Church in Niagara Falls, New York. Balthasar Weiler and Margaretha Sippel appeared in the US federal census of 1 June 1880 in Suspension Bridge, New York. Other members of the household included Heinrich Valentin Weiler, Johann Georg Weiler, Emma Margaretha Weiler, Christian Weiler and Elisabetha A. Weiler. Margaretha Sippel became a widow at the 5 November 1887 death of her husband Balthasar Weiler. Margaretha Sippel appeared in the 1890~91 Niagara Falls, New York, City Directory at Ontario Avenue & West Avenue. Margaretha Sippel appeared in the 1892 Niagara Falls, New York, City Directory at Ontario Avenue & West Avenue. Margaretha Sippel appeared in the New York state census of 16 February 1892 in Niagara, New York. Other members of the household included Heinrich Valentin Weiler, Johann Georg Weiler and Emma Margaretha Weiler. Margaretha Sippel appeared in the 1893 Niagara Falls, New York, City Directory at 1009 Ontario Avenue. Margaretha Sippel appeared in the US federal census of 1 June 1900 in Niagara Falls, Niagara County, New York, at 1009 Ontario Avenue. Other members of the household included Heinrich Valentin Weiler, Johann Georg Weiler and Emma Margaretha Weiler. Margaretha Sippel appeared in the New York state census of 1 June 1905 in Niagara Falls, Niagara County, New York, at 426 Sixth Street. Other members of the household included Johann Georg Weiler, Heinrich Valentin Weiler and Emma Margaretha Weiler. She witnessed the marriage of John Alexander Cole and Emma Margaretha Weiler on 2 December 1912 in Niagara Falls, New York, at Zion Lutheran Church. Margaretha Sippel died on 6 May 1914 at age 69 in Niagara Falls, Niagara County, New York. Perhaps John Sippel and Henry Sippel were brothers of Margaretha and Valentin Sippel. And probably there was a brother Leopold, born about 1849, of John and Henry.